How Much Compensation Can I Claim For A Death or Fatal Road Accident? A guide to claiming for a fatal road accident. Fatal road accidents caused by careless driving. Fatal road accidents caused by dangerous driving. Fatal road accidents caused by tiredness. Other common causes of fatal road accidents. Claiming for a death caused by a fatal road accident at work. Claiming for a death caused by a fatal road accident on public roads. Fatal road facts and statistics. Who can claim for a death caused by a fatal road accident? What to do if a loved one has been killed in a fatal road accident? What can be claimed after a death caused by a fatal road accident? No win no fee fatal road accident claims. How much can I claim for a death caused by a fatal road accident? How to start a claim for a fatal road accident? Why choose us as your claims service provider for a fatal road accident? Losing a close family member or a friend in a fatal road accident can be traumatic. In the aftermath of such tragedy, seeking compensation for death in car accident cases can be a complicated, distressing, and unenviable process. However, it is often essential. Compensation claims can help pay for funeral costs, loss of wages, outstanding debts from the deceased’s estate, and other damages. Additionally, compensation can provide a token amount of help, compensating the family for their loss, including the pain and the suffering that they have endured. Fatal road accidents can also involve pedestrians or vehicles such as trucks, motorcycles, or vans. As one of the best law firms in the business, we have the expertise required to handle any road accident case resulting in casualties. In this guide, you will find the information we have provided to those who find themselves in a terrible position. We will cover the advised courses of action to take following a fatal car accident, how to claim for compensation, and how to find the right expert assistance. Fatal road accidents are usually caused either by careless driving or dangerous driving. This section describes common situations which might be classified as careless driving, while the following section describes common situations which might be described as dangerous driving. Driving while talking on a mobile phone or listening to the radio. Driving recklessly through a red light. Driving too close to another vehicle. Overtaking on the wrong side. Intercepting the path of another vehicle. The UK Road Safety Act of 2006 confirms that the above situations are the cause of a majority of fatal road accidents. You may review this resource to understand the traffic circumstances in which most of these accidents take place. 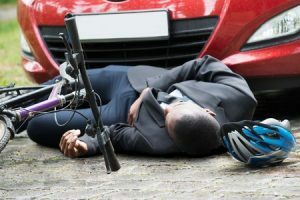 The act also talks about what is involved in claiming compensation for death by careless driving, though this process can be clarified with a legal consultation, should you prefer. Section 2B of the Road Traffic Act 1988 gives more detailed information. Driving a faulty or malfunctioning vehicle. Racing or driving above the legal speed limit. Driving through red lights or ignoring traffic signals. Overtaking another car in a dangerous fashion. Driving while reading, listening to the radio, or talking on the phone. Many of the above situations bear some correspondence to those listed in the careless driving section. Dangerous driving, however, indicates “willful or negligent” driving while under the influence of drugs, alcohol, or both. In these cases, the “criminal behaviour” of the driver causing death can be brought to light during a court case. You can also review the UK Government’s Road Accidents and Safety Statistics site (or contact a law firm) for information on your potential fatal accident compensation amount. On many occasions, the driver deemed responsible for the accident may be suffering from some long-term illness or fatigue that prevents safe driving. Even driving after a long day of high-pressured work can put vehicle drivers at risk of fatal road crashes. Although a vast majority of UK drivers may be regularly driving while physically exhausted, medical research states that there is a close link between fatigue and careless driving. In situations where a driver has caused an accident due to tiredness or fatigue (either willingly or unwillingly), they may be required to pay compensation. Driving under the influence of alcohol. Excessive use of prescription medicine. Combined effects of drugs and alcohol. Distractions such as phone calls, reading, text messaging, or listening to radio. The UK Government Road Accidents and Safety Statistics site suggests that the above driving conditions cause a significant amount of fatal road accidents. Whatever may be the cause of a fatal road accident, close family members of the deceased will often be left with a confusing and terrible situation. They may also be owed compensation. Our law firm is available to provide legal and psychological support to such families in distress, helping you make a legal claim at a difficult time. A case of a fatal road accident at work may occur when a particular employee of an organisation or company dies in a road accident while on duty. A travelling employee, a hospital doctor, a postman, and many other employees routinely travel on the road to complete their work. When a person dies in a fatal road accident while on duty, the case may be registered as a fatal road accident while at work. In this case, the “premises” of the accident can be an important consideration in the legal case. If the dependents, family members – or the estate of the deceased person – has to claim for legal compensation, they will first have to establish one or more “liable parties,” including the employer of the deceased to file the case. A legal firm can provide you with direction and advice as to how to accomplish this. See the UK Government statistics on road traffic accidents for more in-depth information. When dealing with fatal car accident claims, it is often important to assess where the accident took place. Determining whether the road was a public road or a private road can have some bearing on the case. For example, if the accident was caused by an issue with the road – for example, a damaged surface which caused the vehicle to spin and crash – then the liability for any compensation might rest with the owner and operator of the road. In the case of public roads, this will likely be the government or the local council. If you wish to make a legal claim against the operator of a public road, you may struggle to deal with the administrative side of the process. Claiming compensation from the council or local government will need to follow a certain protocol and finding the right information on this (as a member of the public) can be difficult. This is why we advise clients of the benefits of working with legal professionals. Contacting our team, for example, can dramatically reduce the difficulty of filing such a claim. In 2015, the number of people killed in UK road traffic accidents was 1,732, and the number of people seriously injured was 22,137. These are 2% and 3% decreases respectively, compared to the same figures from 2014. In 2015, the total number of casualties in UK road accidents was 186,209, which is a 4% decrease compared to the same figure in 2014, and the second lowest on record. Between 2014 and 2015, the vehicle traffic levels on UK roads have increased by 1.6%. Although the above figures indicate that the number of road-traffic accident fatalities has decreased between 2014 and 2015, there is still no clear evidence to prove that the rate of road accident casualties and the rate of road accident injuries will continue to fall in the coming years. Understanding the statistics can be useful when filing a claim, as it demonstrates the large number of people who have been in a similar situation before and who have been helped by law firms to get the compensation they are owed. the estate of the deceased. Any one (or a combination of one or more) of these described entities can initiate a fatal road accident compensation claim. Gather and document first-hand evidence from the accident site, including police reports, medical reports, and so on. Estimate financial losses, which may include loss of income, funeral costs, medical costs, travel costs, and all other related expenditure. It is important to keep proof of these totals (such as receipts). In many of these situations, you may have a number of questions that need answering. For example, if you are asking “does car insurance pay for death?” and cannot seem to find an answer, our solicitor firm is here to help you at every step. We take care of the all necessary paperwork and deal directly with insurance companies on your behalf, all while attempting to get you the right amount of compensation. Special damages such as if the death created unusual circumstances involving expenses, such as damage to a vehicle. Medical expenses such as any and all medical expenses incurred due to the accident. Travel expenses such as any and all travel and transportation costs incurred due to the accident. Recuperation expenses such as expenses paid to rehabilitate a bereaved family member. Funeral expenses such as any or all costs of the service, a coffin, flowers, and other expenses. If you want to be sure that you are claiming for every cost related to the accident, it can help to have the assistance of a dedicated professional. Call us and set up a meeting in order to figure out the full extent of the costs in the wake of an accident. To ease the financial burden on our clients, we are able to provide a Conditional Fee Agreement (CFA) deal. This is the technical name for what we refer to as our ‘No Win No Fee’ agreement. We provide legal consultation and even legal representation in a manner which can minimise the financial risk to clients and can make the process of claiming compensation much easier. If we win the case and you receive your compensation, our costs will be paid as a percentage amount of this total. If we are not successful with the compensation claims case, there will be no charges. As such, many clients trust our ‘No Win No Fee’ approach to providing them with the best possible legal expertise. 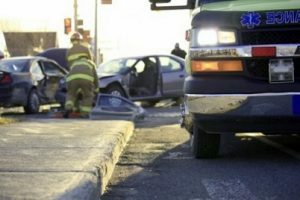 As every fatal road accident case is unique, it is difficult to predict exactly how much compensation for death due to negligent driving can be claimed. Included below is a table that may be used to determine compensation amounts for co-passengers of the deceased who need extensive medical treatment for survival. The following pay table provides “representative data” and should not be acknowledged as actual compensation figures applicable to each and every fatal road accident case. The types and amounts of compensation that you may receive will likely to vary from the figures shown on this table and will directly depend on the circumstances of your case. Death (baseline) £12,500 - £300,000 A normalised range of compensation paid for unexpected death. Death (unconsciousness following a brief period of awareness) £8,000 - £10,650 Severe injuries, followed by unconsciousness after 3 hours and death within two weeks. Death (unconscious death within six weeks) £6,400 Loss of consciousness immediately following injury, death within six weeks of the accident. Death (unconscious death within one week) £1,050 - £2,125 Loss of consciousness immediately following injury, death within one week of the accident. Death (full awareness) £15,950 - £18,100 Severe injuries, with full awareness, death within two weeks. Funeral costs £3,000 - £10,000 Can be higher in some cases. Punitive damages £1,000 - £275,000 Can be higher in some cases. Pain and suffering £1,000 - £200,000 Driven by level of suffering. Loss of benefits £5,000 - £500,000 Driven by actual loss of benefits. Loss of anticipated earnings £10,000 - £400,000 Driven by actual loss of earnings, could be higher in some cases. Loss of care, protection and companionship for family members. £2,000 - £100,000 Driven by suffering encountered, could be higher in some cases. For more accurate accident injury compensation amounts and death compensation calculation, use the contact information provided below to discuss your case with our solicitors as soon as possible. After receiving the full facts of the case and reviewing the evidence, the solicitors will be able to answer all your queries related to compensation amounts. Knowing how to start a compensation claim can be one of the most difficult parts of the process. For those unfamiliar with the laws and regulations, even filing the necessary paperwork might seem impossible. That this is likely occurring during a moment of grief and tragedy can only make matters even more complicated. This is why we suggest that even claims process should begin with finding the right law firm. Once you decide to work with a firm, there can be many benefits. For example, we’re able to offer a free legal consultation session. In this session, we can provide advice as to the potential outcome of your claim, possible compensation amounts, and we can advise you as to your next step. If you choose to work with us after this session, we can handle the more complicated side of the case. Our knowledge and awareness can be essential. For example, we know how to conduct further fact finding operations. If you fail to get the necessary evidence from the accident site, the complete data surrounding any fatal road accident case can be gathered from the police database, known as a Stats19 system. Such records usually provide the correct information related to casualties and personal injury cases, including the details on involved vehicles. To get the best legal help and guidance, use the contact information provided below to get in touch with us. We can also have a one-on-one chat session to understand your situation and get the necessary facts. Our expert and compassionate solicitors will provide the necessary advice on the next course of action. We have a long track record of putting our clients at ease, even in the worst situations. Our law firm offers an easy, ethical, and client-friendly approach to handling any form of a compensation claim. We have helped many family members, associates, and friends of road accident victims claim compensation. We specialise in providing insightful, expert, and effective legal assistance and can provide clear advice on how to proceed with your claim. This approach can also include our ‘No Win No Fee’ agreement, our free legal consultation, our ability to arrange for a visit to a local doctor, and a broad history of successful compensation claims, the kind of experience which informs everything we do. If you want to get the best legal team available working on your case, you should get in touch with our team as soon as possible. For the best legal advice available, contact us to discuss your next course of action. Please fill up the online contact form available on our website (or use the chat feature) and we’ll call you back. Or you can get in touch directly with one call to 0800 073 8804 to initiate a discussion about your case. When you want expert legal advice and assistance, we are the perfect law firm for you. This NHS link has further information on the death of a family member or loved one and explains about help and support. This Citizens Advice link has information about support and help after death of a family member or loved one. Motorcycle Accident Claims How Much Compensation Can I Claim? If a family member or loved one had died due to a motorcycle accident contact us for free advice and find out how much compensation you can claim. Cycle Accident Claims and Compensation Amounts I Can Get? Cycle accidents in the UK are very common find out how much compensation you can claim for a fatal cycle accident compensation claim. How Much Compensation For Car Accident Claims? Car accident claims are one of the most common accidents in the UK find out what you can claim for a car accident. Death and Fatal Accidents Compensation Amounts Find Out How Much? A Full guide on claiming compensation for death find out the amounts of compensation you can claim and also who can claim the compensation.